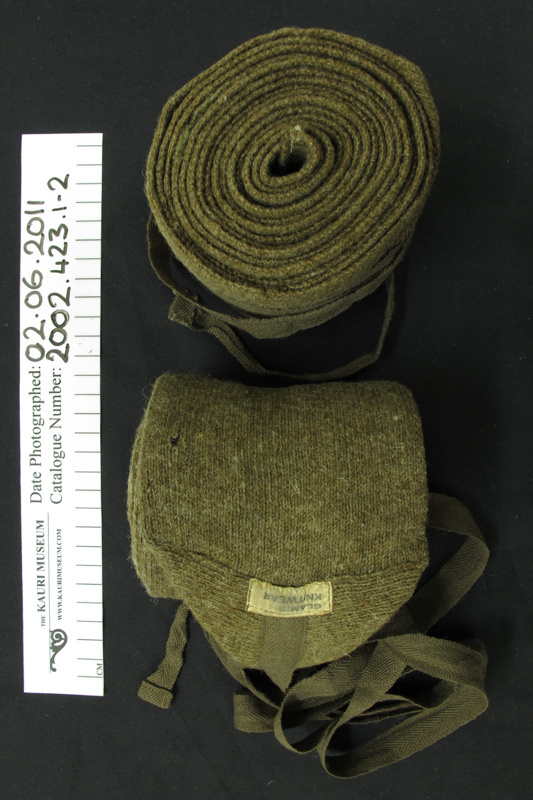 A pair of military puttee. A long strip of cloth (in this case, khaki coloured knitted wool) wound round leg for protection and support. These were wrapped around on top of the trouser. Infantry wrapped them differently than horse riders. Label reads, 'Glamis Knitwear'.